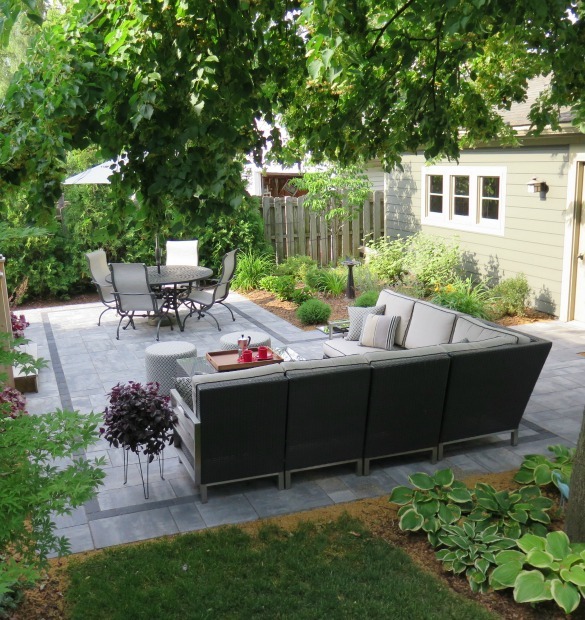 Our clients called in early spring with concerns about their existing entertaining capacity, drainage issues, and the need for a little more privacy. There were a lot of surfaces in the space, making it appear confused and smaller than it was. The space was completely redesigned to take advantage of a really great space under a beautiful Littleleaf Linden tree. The design reconfigured the failing deck with a more appealing, more usable, and safer design. We removed the existing confusion of surfaces: concrete, flagstone, and pavers and the existing landscape that broke up the space. 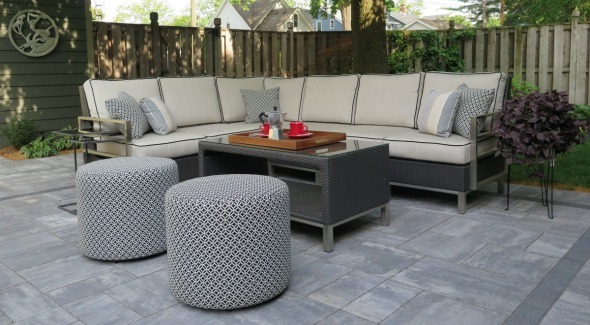 Designer and Project Manager, Bethany Borchak, was able to deliver a beautiful and versatile outdoor living space with both a shady dining space and a sunny lounging space that was the clients’ ultimate desire for this beautiful renovation. 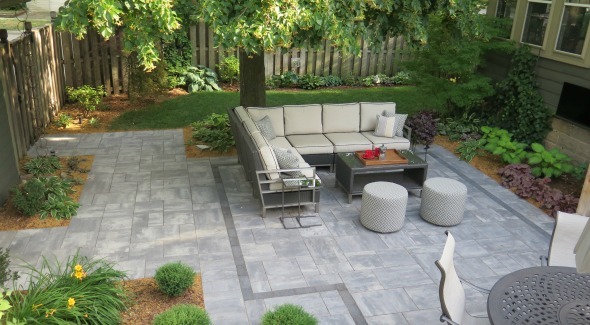 The banding within the paver areas delineates the space like an area rug and anchors the furniture. 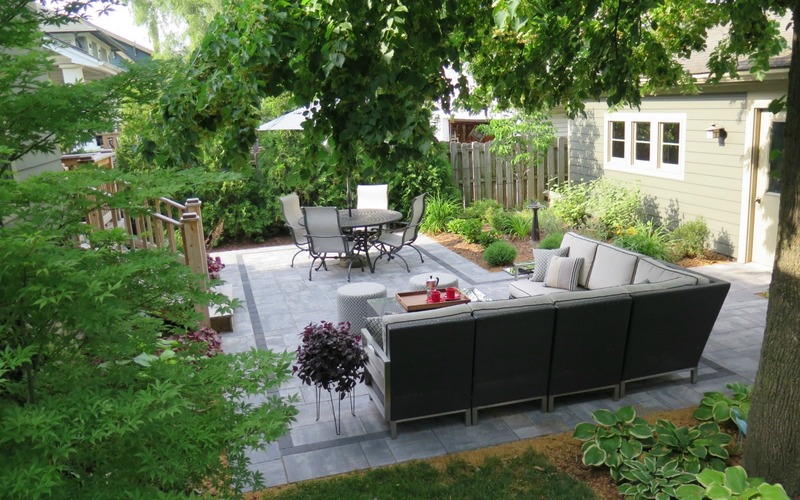 Their gorgeous Craftsman Cottage now has a back yard with rich details to show off, too.